LEGAZPI CITY—The Department of Public Works and Highways Bicol regional office has reported having constructed a total national road length of 2,344.40 kilometers as of the end of 2014. A report released by Lucy Castaneda, DPWH Bicol public information officer, on Monday said that of this total 2,344.40 kilometers of national roads, 1,132.44 km are arterial while 1,211.97 km are secondary. 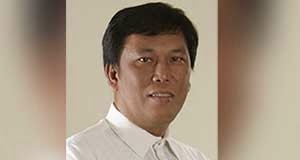 Castaneda said the road length increased in 2013 due to the newly converted roads in Camarines Norte and Masbate's 2nd Legislative District. The report showed that as of 2014, the region’s national roads are 90.6-percent paved, corresponding to a total length of 2,124.14 km and the remaining unpaved is 9.4 percent, equivalent to 76.8 km. For 2014 alone, the region paved 76.8 kilometers and from year 2010 up to 2014, the DPWH Bicol had accrued 256.4 paved roads. For the national artillery road, 1,067.86 km or 94.3 percent had already been paved as of 2014, with a remaining unpaved length of 64.6 km. These remaining unpaved section are funded under the CY 2014 General Appropriations Act (locally funded and foreign assisted) and the FY 2015 DPWH Budget. For the national secondary road, 1,056.28 km or 87.2 percent are paved while the remaining 155.68 km or 12.8 percent are still unpaved, the report added. Of this unpaved roads, about 42 km are funded in CY 2014 GAA while under the FY 2015 PDWH budget, the programmed length is 39 km. The remaining length of about 75 km will be proposed for completion by 2016 and beyond, including the newly converted roads in CY 2011.